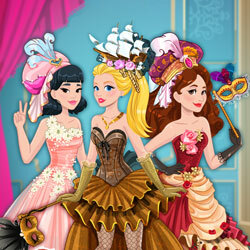 Description: Audrey, Jessie and Yuki are getting ready to go to a Masquerade Fashion Ball. Choose one of the girls and pick your favorite outfit for her. The other girls will join them on this important night, with their own fashion choices!